Once again, Pig takes an expression (boots on the ground) literally. And then there’s Peg’s Diner, in Whitinsville MA. Various 50th anniversaries have come up this year, and now we are impelled into the midst of the Christmas Shopping Season; today is Black Friday, with sales everywhere. Plenty of random associations. And in the background, the Red Apple Rest in Tuexedo NY. Two items for (U.S.) Thanksgiving: once more on Thanksgivuk(k)ah, and the entertaining tryptophantastic. Take Cold-EEZE® whenever you start to feel cold symptoms. I guarantee Cold-EEZE will shorten your cold or your money back. A money-back claim that could never be cashed in: how could anyone know that their particular cold would have been longer if they hadn’t taken Cold-EEZE? It’s a conflict between (possibly valid) generalizations and specific predictions about single events. a person claiming to be in contact with the spirits of the dead and to communicate between the dead and the living. 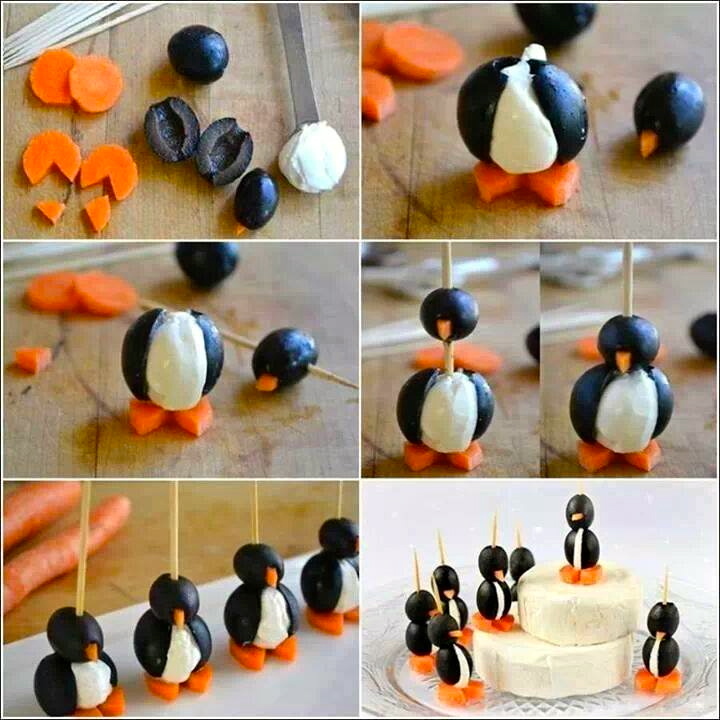 A more complex version of the “penguin food you can make at home” in the second section of this posting from 2011. This is a seminar, so participation is vital. i) Groups of you will be asked to make short presentations in class sessions focusing on the topic(s) of the preceding class. ii) Weekly short writing assignments due at the beginning of class on Tuesdays. These will involve commenting on comics that you have found and preparing for the seminar paper. iii) A seminar paper; initial thoughts due on Tu of week 4, proposal due on Tu of week 6, topic to be presented to the whole seminar in week 9 or 10, written version due Tu March 18th. Week 1: Introduction to language and comics; read D&H Chapters 1 and 2, p. 1-23. What are i) language, ii) a language? What kinds of language do/do not appear in comics? Assignment (due in Tu class of week 2): Go to Arnold Zwicky’s website at https://arnoldzwicky.org/category/linguistics-in-the-comics/. Choose and study a comic on this site; write up a short description (~ 200 words) about why you found it interesting initially, why the language of the comic is interesting to you (don’t just quote what AZ says! ); what points in D&H does it illustrate or call into question? Week 2: Integrating art and language; cross-modal representation; read D&H Chapter 3, p. 24-39, and Chapter 7, p. 106-109 (end first paragraph). Explicitly state which topics we have discussed are represented in the strip. How do they enhance the strip/contribute to its point? Why is this strip funny (or not)? Week 3: Taboo language and sociolects; read D&H Chapter 9, p. 138-152, and Chapter 11, p. 178-183. How does this topic relate to the goals of this seminar? How does this topic relate to language and comics? For your favorite topic, come up with a possible direction for your paper to take (via a question to answer or lens through which to examine your topic). The topic will be finalized week 5 and a proposal will be due Tu of week 6. Week 4: Invisible/inaudible meaning; read D&H Chapter 6, p. 74-95, McC 207. Why are these strips funny (or not)? Week 5: Language creativity and ambiguity; read D&H Chapter 4, p. 40-54, Chapter 5, p. 55-73. How does this topic relate to linguistics? How does this topic relate to the goals of the seminar? What is your research question and direction? What kind(s) of comics (from class or outside research) will you use as support? Append some examples that you think you might use. Week 6: Cultural meaning; read D&H Chapter 9, p. 138-152, Chapter 10, p. 153-165. What makes these strips funny (or not)? Week 7: Register and genre; read D&H Chapter 11, p. 153-178 and Chapter 7, p 109-115. What challenges, if any, have you run into? How are you solving them? What thoughts do you have concerning your presentation (medium/materials needed especially)? Week 8: Narrative; read D&H Chapter 7, p. 96-106. Sign up for presentation times this week! Are the strips effective at conveying their message? What would change, if anything, if a different storytelling method was employed instead of the one chosen? What makes these strips funny (or not)? And how does the storytelling method contribute to this? Assignment: Work on presentations and papers. Continue to practice and prepare your presentation first. Then, keep researching, analyzing, writing, and proofreading your final paper. Seminar paper due Tu March 18th (about 1000 words, plus appendix with the comic strips you have chosen). You are currently browsing the Arnold Zwicky's Blog blog archives for November, 2013.